Sharon and I went to the Wagner Family Wine Dinner at Matteos with Sharon's brother Tom, our neighbors Rod and Kathy and two of their friends. In one of those small world stories, the distributor representative worked for the same company as Ben Borja and reported to him at one time. 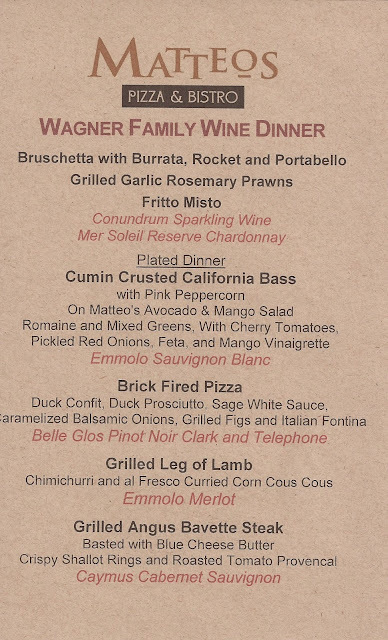 We visited Wagner Family Caymus Vineyards last year while I was working in the Napa Valley. 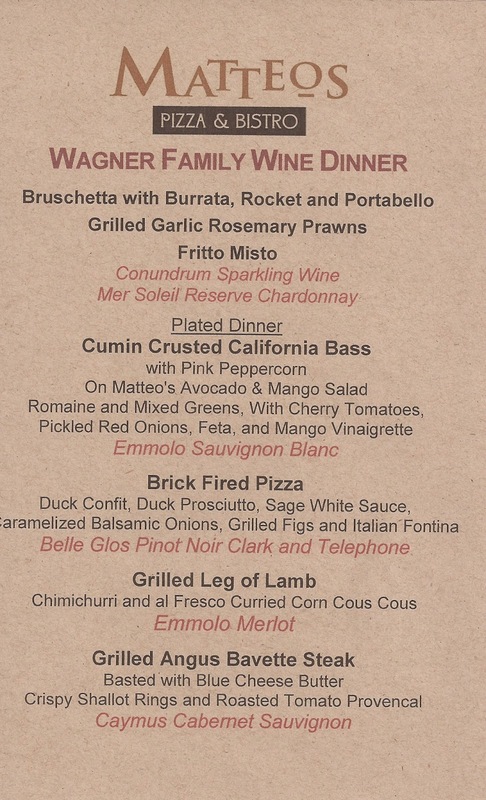 We attended the Frank Family Wine dinner at Matteos in September of 2016.